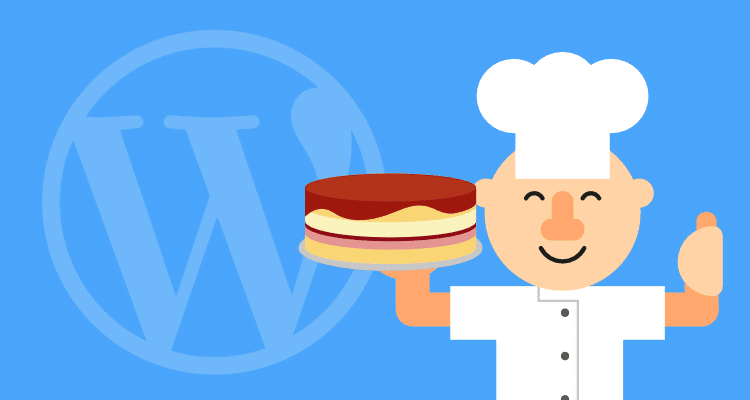 How to cook-up a simple WordPress website for your business. This article gives you the ingredients you need to cook up a simple WordPress website for your business. It covers the tools and resources I used to build this very site, and it includes my reasons for using them. Regardless of whether you choose to do it on your own or use an agency, the information presented here will give you an idea of what’s needed, how long it could take and how much a simple website could cost you. The guide is ideal if you’re looking for a quick start or revamping an old site but keep pushing it down the priority list. If you need a lot of custom features or extensive integration with back-end systems, I’ve recommended a couple of design agencies further down whose work I like and will be able to help you. At the end of the article, there’s an opportunity to set up a demo site to play with so that you can get your own site off the ground quickly. Are you sure you need a new website? You’ve just started your business, and you haven’t got a site yet. Your website isn’t designed for small screens, and people searching for you on mobiles and tablets are leaving your site unable to view the information they need. I don’t get enough visitors to my website. Not being found on search engines or not getting enough traffic/enquiries doesn’t always mean you need a new website. These may be related to the type, quantity and quality of the information on your site and the way it’s structured and displayed. For a relatively new site, you should look at the content you’re creating and how you’re presenting it to both visitors and search engines. If you have an existing marketing agency or web developer they should be helping you with this already. If not, look for another agency. However, there may be underlying technical reasons for why you’re not being found on Google, Bing etc. For example, the site may have been built using a Content Management System (CMS) that has fallen out of favour with developers and is no longer maintained. Add-ons for optimising content for search engines may be out of date and no longer fit for purpose. If that’s the case, you may need to upgrade the site, just to stay competitive. Things to think about before you begin. Do you know your target audience, what you want to say to them and how you’re going to get their attention? Have you looked at where your current site is failing to deliver your message? What content is missing and who will create it? Have you firmed up your brand style, e.g. what are your company colours, fonts, writing and image style etc. Do this before you start revamping the website, and it’ll save you time, money and frustration. Just like a layer cake, your website is made up of different sections. A web designer/developer may choose to go into much more detail about each layer or stack, but I’m staying at a high level here. This is where the files for your website sit and where people clicking on your domain or web address end up. While you can get the hosting equivalent of a budget airline, like budget airlines, upgrades come with a price, and the cost soon mounts up. I’ve tried ‘cheap’ WordPress hosting in the past, but managing backups, improving speed and ensuring the sites were secure and scanned regularly was too much of a headache. I just wanted all of that ‘out-of-the-box’. I’m a marketer Jim, not an engineer! For this website and client sites, I use Flywheel and have been with them for the last three years. Aside from the usual pricing and hosting space which everyone else does, these guys do dedicated WordPress hosting and have a superb product dashboard that makes managing sites easy. Flywheel backup your website regularly, and if as I have in the past, you make a mistake, recovering your site is as simple as looking through your backup history and restoring the site. No clunky backup plugins – just click and recover in minutes. And yes I call it a mistake now, but I was hyperventilating at the time 🙂 . As with backups, your site security is managed by Flywheel, and if anything does go wrong, they fix it for free. As with most businesses, when your site increases in popularity, it also attracts unwanted attention. Fortunately, Flywheel has done a sterling job at keeping them away. For speed, it’s best to develop your site locally and then move changes up to a staging or interim site so that you can show colleagues and get feedback. Once they’re happy, you move these up to the live site. Flywheel gives you pre-packaged tools to develop sites on your local computer and has staging available on some of their packages. Staging was a beta feature for a while, and most of my sites have it included because I applied for it early. However, it’s available on higher packages. I recommend getting it, even if you have a simple website because it allows you to make changes to your content and upgrade parts of the site without screwing everything up. Test, retest and approve only when you’re happy. This is an area that the team at Flywheel excel at and another reason I’m not about to move anytime soon. In the last few years I’ve only needed support three times, but whenever I have, their Happiness Engineers have done what the job title says – made me happy. WordPress is the next layer of the cake, but I’m assuming you’ve already come round to the idea of using it for your site, so I’m not going to go into any detail about why it’s ideal for creating simple business websites. If you haven’t, WPBeginner has a great article explaining why you should use WordPress to create a website for your business. Plugins let you add a ridiculous amount of new functionality to your website. In some ways, they’re like apps for your smartphone where you have some core functionality straight away, which you can then add to, or customise with apps. In general, I try to keep the use of plugins down to a minimum, but there are a few I use on most sites. When you start using email marketing or CRM software they will give you form tools to use with WordPress. But for starting off a site, I use Contact Form 7, which is a free, flexible form plugin. I also use Flamingo from the same developer for storing the data that Contact Form 7 collects. To draw traffic to your site, you’ll need to optimise the content to make it easier for search engines to find you. You can do it all manually, but I use Squirrly SEO rather than the popular Yoast SEO because of the way Squirrly guides you through the process of optimising your webpages. I’ve had excellent results using this tool and clients quickly get the hang of how to use it to optimise articles on their websites. On the downside, the option to find images/tweets/related articles etc. isn’t very good and it would be nice to be able to switch this off because it just takes up space on the screen. Aside from that, it’s a great tool and one I install for all new clients unless they ask for Yoast. One thing to note is that while there is a free version if you write more than five articles per month or have multiple websites, you’ll want the Pro version, which costs just under $20 per month. I get Pro accounts and then let clients share it, so they don’t have to pay anything. 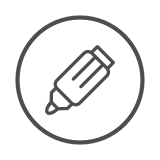 If you’re not comfortable coding in PHP or building WordPress themes from scratch, Custom Content Shortcode gives you a set of commands to display content where you need on an existing theme. It’s extremely powerful and lets you do away with a host of other plugins such as gallery’s, related article plugins etc. There’s a steep learning curve to getting the most out of it, but it’s a well-supported plugin, and the developer is always willing to help. I’m also using Essential Grid to display my articles on the homepage and Article page because it lets me add some nice visual effects to the entries. Themes are the presentation layer of WordPress and let you style your pages, text and images. If you want something that’s unique to your business you can create a theme from scratch and Colorlib has a useful article that points you to some good tutorials. Equally, there are a lot of pre-designed themes available that range from bare-bones styling and layout to all-singing all-dancing themes tailored to every industry. Most give you some degree control over the look and feel so offer a quicker route than building a theme of your own. As a marketing guy, I don’t know all the possible landing page layouts I’m going to need for future campaigns, so it’s not practical to ask a designer to pre-build them for me when I don’t know what’s going to work best for each campaign. A page layout that’s been working for my email campaigns may not be ideal for Google Adwords, webinar invite or event registrations. Marketing involves a lot of testing, and I want the ability to create and modify new landing pages for campaigns as and when I need them. 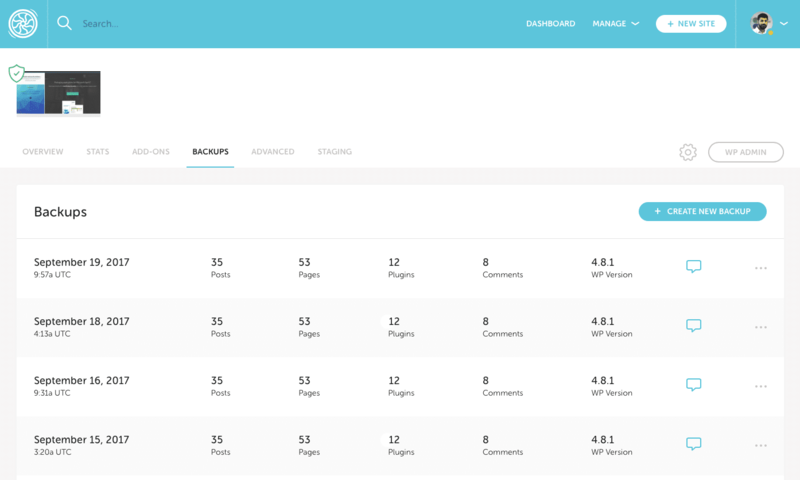 If you’re not comfortable building new page layouts using the default WordPress tools, ‘page builders’ are a must. These give you Powerpoint-like drag-and-drop control to create new layouts. More and more themes include a page builder, and some are so tightly integrated into the theme that if you choose to change the theme for your site, you’ll have quite a job removing the extra code they add to your site’s pages. If you think you’re going to be changing themes often then I’d suggest you use a standalone page builder like Elementor, which works with most themes. 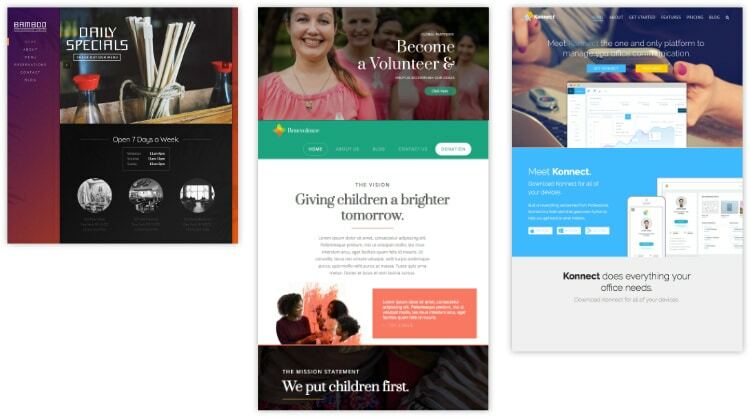 Dave Foy makes a great case for splitting themes from page builders and has some great tutorials on using Elementor on his site. I like Elementor, and it does a lot of what I need, but right now I use X – a multifunctional theme with a built-in page builder. I’ve been using the X theme for a while, and over the years the developers have made it easier and easier to create attractive websites. They recently added powerful features to customise headers and footers and where you place them, and I’m expecting the next update to add even more control over body content and layouts. I’ve also changed the design of client websites without needing to look for a new theme because I can re-imagine and re-build a whole new design within X. So the page cleanup issue mentioned earlier hasn’t been a problem. It’s true that X (or any multi-function theme) isn’t as flexible as a designer/developer combination, but I work with clients who just want to get on with marketing their businesses. The website is a means to an end and if it takes a long time or costs too much to build, they’ll never get onto the important bit – getting people to the site and turning them into customers. With X, I can create new campaign landing pages quickly and save them as templates so that I can tweak them for new campaigns. I don’t need to wait for a designer/developer to do this. I’ve got better things for them to do for me. X also comes preloaded with some great plugins to turn your website into a visitor conversion machine. One I like a lot is ConvertPlug which lets you create sign-up forms and ‘more information’ panels that slide into the screen. Used well they’re ideal for drawing attention to new content, events, resources etc. on your website. You may even have clicked on one to get to this article on my site! There are two versions of the theme, X and X Pro, which cost $59 and $79 per site respectively. It’s a one-off fee, and there’s no monthly or annual subscription to access updates and support. You pay the fee once, and you keep getting updates and support for as long as you use it. Even though it mentions renewing support on the download page, they’ve never re-charged me. Support has been brilliant so far, and there’s usually a response to any questions I’ve asked within a day. They also have a community forum where other users post queries and answers. The design for my site is quite simple, and I wanted to be able to build it quite quickly. One of the good problems to have when you’re busy with client work is that you have very little time to update your own site 🙂 . I’ve been working on the site intermittently over summer, but in terms of actual man-hours, the site design and layouts took about one week to create. Page text and image editing added another day on top of that. Writing the blog articles isn’t included because that’s an on-going activity. If you’re using the tools mentioned above and have your content ready, you may be able to build yourself a simple site in as little as few weeks. Realistically I’d set aside a month or two because you’re still going to need some learning-time to see how WordPress and the X theme work and to gather all the content you need. Design and development time is your biggest cost, and if it’s done in-house, you’re best placed to know what your time is worth. However if you’re outsourcing, it could range from a few thousand to tens of thousands depending on where you get it done. If I was charging myself for this site it would have cost ~ £2,000 ($3,000). 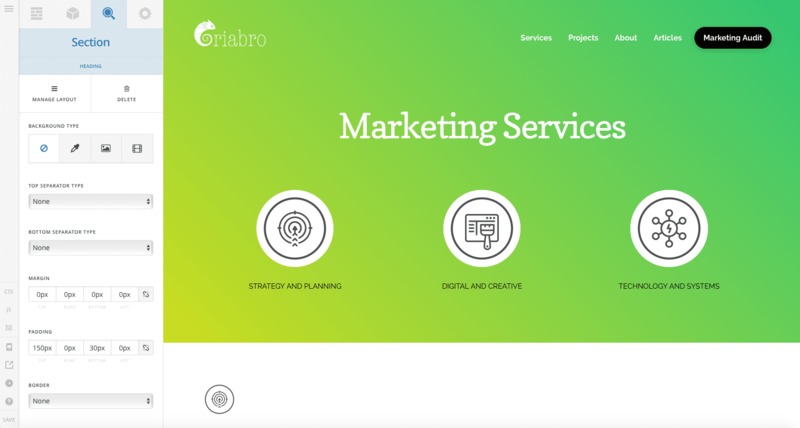 If you want to get right into building a website for your business but need a hand getting started, get in touch, and I’ll help you set-up a test site you can experiment on. If you want to use X, look through these demos and let me know which you want to try out. I recommend starting with the expanded demos. If you aren’t wedded to the idea of using WordPress, have a chat with Supercool (designers and developers) and Tomorrow People (digital marketing and content). Don’t worry, I don’t get anything for mentioning them, I just like what they do and it saves you a Google search. Waseem heads up Riabro and has close to 20 years of marketing experience with Blue-chip multinationals, SMEs and Start-ups. A marketing all-rounder, Waseem is as comfortable devising strategy as he is rolling up his sleeves and creating engaging content. You can connect with Waseem on LinkedIn. Ready to ramp up your marketing and grow your business? Great readability tools that will transform your business blog.